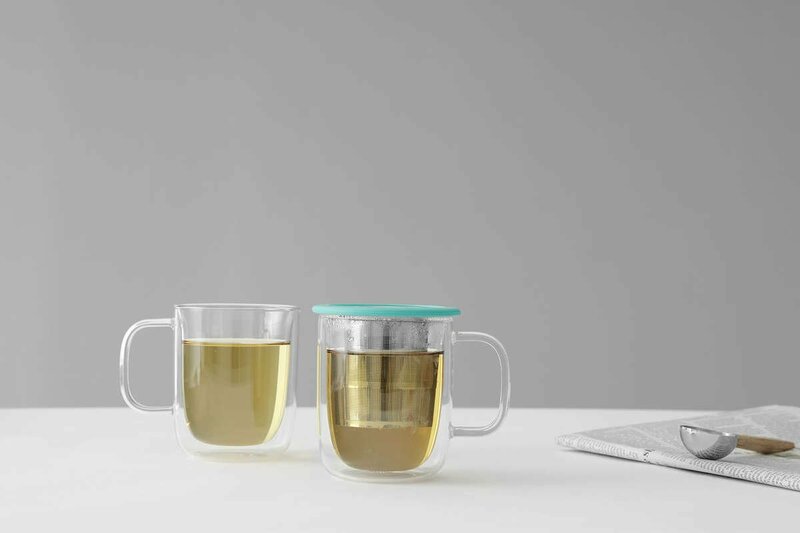 Add Scandinavian flair to your daily ritual of drinking tea. This Classic double walled glass is your idyllic tea time companion. Fill it with hot or cold teas. Either way, the beautiful coloured beverage with float majestically in this sleek glass. Size: L: 9.0 cm - H: 12.6 cm - Vol: 0.40 L / 13.50 fl. oz. How big is this mug? This glass can contain 0.4L of your favourite beverage. That’s a bit larger than a standard mug. 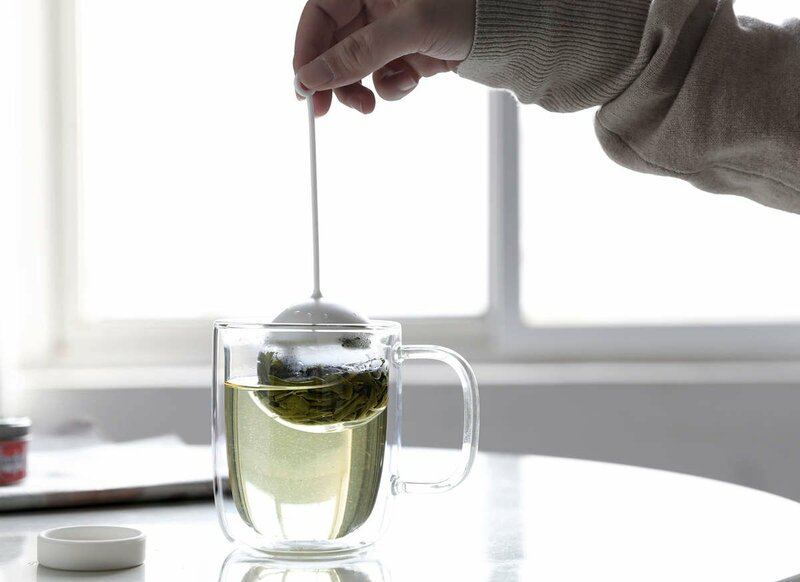 Due to the double walled design when this glass filled with piping hot tea or coffee, the handle remains completely cool to the touch. Is this mug good for cold drinks? 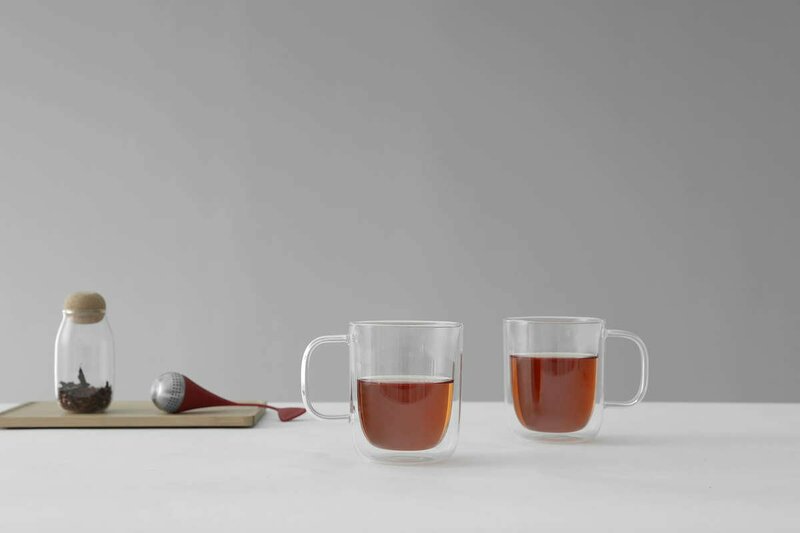 The double walled design means this glass is ideal for both cold and hot drinks. Double walled cups insulate your beverage from your hand. So cold drinks won’t get warm from your hand, and it prevents hot drinks from burning your fingers too. Is this glass microwave safe? This glass is microwave safe, but it may get hot - so handle with care. Can I put boiling water directly into the mug? Absolutely! 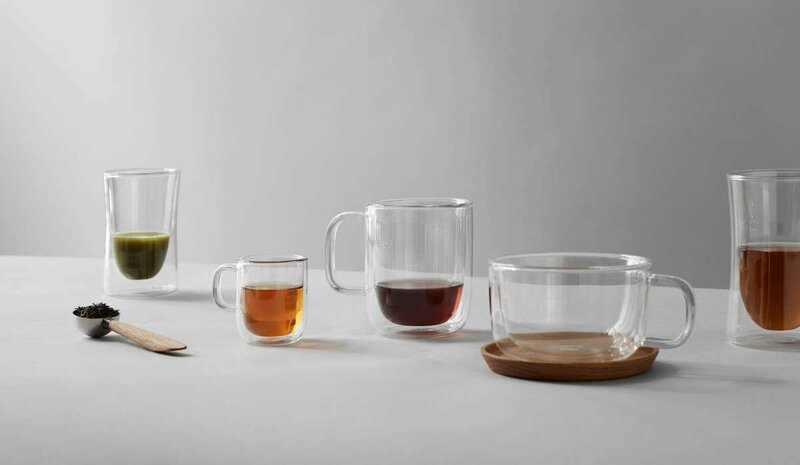 The glass is designed to handle hot beverages so you can safely pour boiling water directly into it.